← Easy 2 ingredient Biscuits……………. Valentine’s is just around the corner. 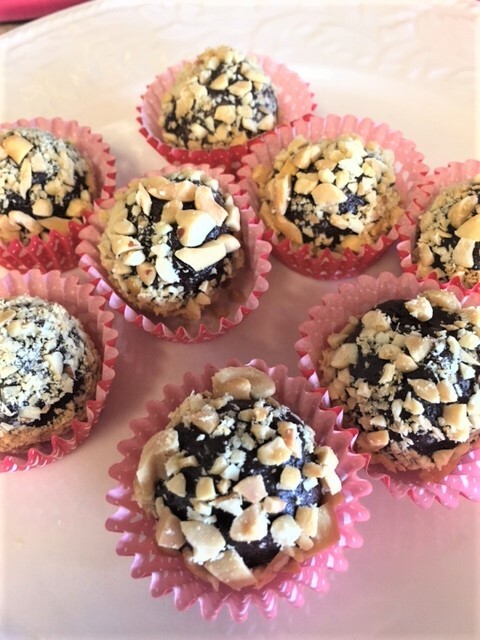 Wouldn’t you like to surprise someone with some homemade chocolate treats? Of course you would! Or, make them for yourself…..that’s even better. Who doesn’t like peanut butter and brownies! These are so rich and creamy with a bit of crunch from the peanut coating. So sinful. If you don’t like peanuts, you could always use any of your favorite nuts. Hazelnuts would be great! This is such a simple yet such a decadent treat. 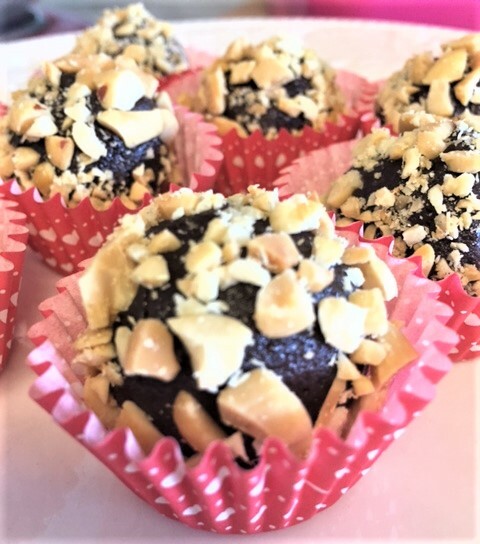 Another decadent and delicious candy coming up in the next few days, is red wine chocolate truffles, another great Valentine’s idea! You will love those! Dump your completely cooled brownies in a mixing bowl or food processor. Add the cream cheese and peanut butter. Mix until everything is mixed well. 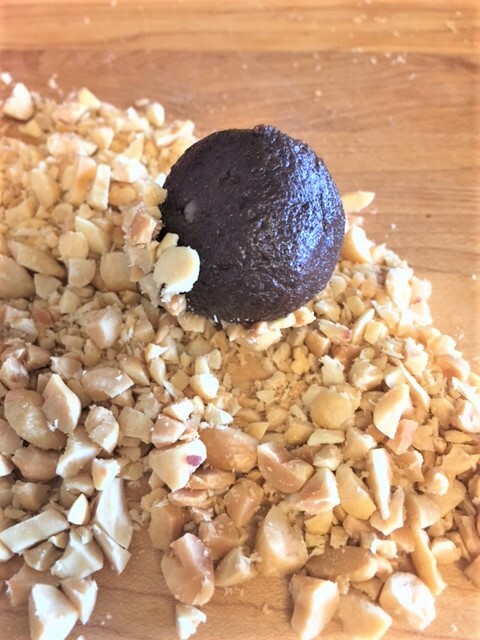 If you want some little chunks of brownies in your brownie balls, reserve some of the baked brownies to mix in after you have creamed everything together. Roll mixture into 1/2″-3/4″ balls. Roll the balls in the crushed peanuts, gently pressing into the nuts. 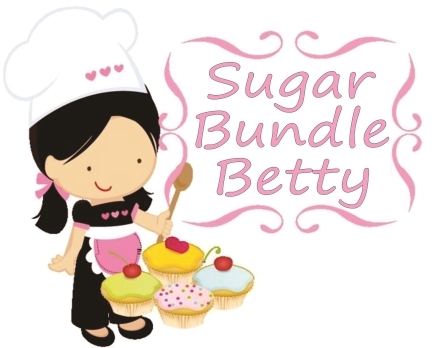 Place them into some cute little candy wrappers……place them in nice little box and there you have a great little gift. Orrrrrr, forget the wrappers….and just plop em in your mouth! ** you could use almond butter and crushed almonds, or any of the nut butters and your favorite nuts. Or, forget the peanut butter and nuts altogether. Just increase cream cheese to 4 oz. This sounds so incredibly easy. I’m going to try it! Once again, thanks for sharing such yumminess! Hi Lori, yes, super easy. delicious!! enjoy!